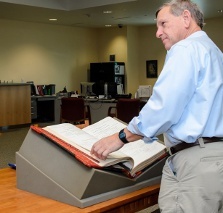 In addition, the State Library hosts a regional Federal Documents Depository and the Federal Agency Publications and Information Collection. Are you an inventor? Visit our Patent and Trademark Resource Center for informaiton and events on applying for patents or trademarks. 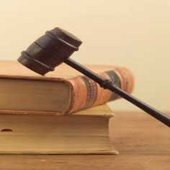 The Law Library contains current Arizona Statutes as well as other Legal Resources for your research. The Website Collection includes historical versions of websites for Arizona’s state agencies, departments and elected officials, starting in 2007. Visit the History and Archives Building for Research at the Archives. Looking for a photograph? Our Photograph Collections contain over 180,000 photos. For something uniquiely Arizona we have our Arizona Collection. For State Agencies and Local Governments we also provide Records Retention Training and Schedules. 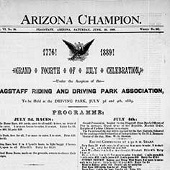 The Arizona Newspapers Collection contains Microfilm and digital copies of historic newspapers. You can also access print copies and electronic links to current statewide newspapers​. Starting your research online? Be sure to check out our online catalogs and databases. Online Catalog for the Research Library collections. 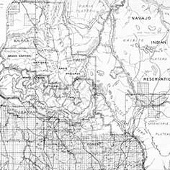 The Arizona Memory Project contains thousands of digitized documents, photographs and recordings from a variety of partners. 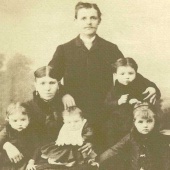 Arizona Biographical Database for persons of interest to Arizona history. Arizona Legislators: Then & Now contains biographical information about everyone who has been elected or appointed to the Arizona State Legislature since Statehood in 1912. The Digital Arizona Library has access to our subscription databases for Arizona residents. Online Resources for State Employees has materials suited to your particular needs. The Website Collection (hyperlink) includes historical versions of websites for Arizona’s state agencies, departments and elected officials, starting in 2007. 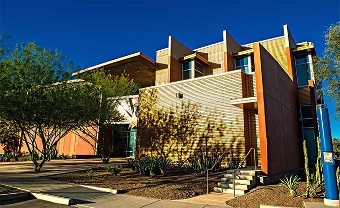 Visit the Polly Rosenbaum State History and Archives building for unique Arizona materials including, but not limited to, historic newspapers, assessment rolls, brand indexes, marriage licenses and court records. Parking is available in front of the Polly Rosenbaum Archives and History Building.